The asruansi agent shall endeavor to obtain personal data of the prospective customer. Such as place and date of birth, home address, number of family members and work. Very special if you can get also personal information, such as hobbies, leisure activities, or social activities. The data can be obtained from people closest, such as friends, drivers, helpers, subordinates to his secretary. The importance of collecting prospect data as much as possible is indeed taught by the insurance manager. Even the agent must also know the needs and problems that are facing prospects. And as much as possible to give suggestions or solutions to these problems. Typically, prospects tend to hesitate in making decisions. So give them moral support to make sure the choice is really good and right. Oh yes, before meeting prospects, it is highly recommended to collect information about the characters in question. There are people who do not like to be criticized, do not like his opinion is opposed, do not even like to argue. Make it a reference to behave. Be careful also with various personal identities. Many people like to be called by their first names. But if it is wrong, it can be offensive. Mental is ready, attitude and technical stock already in hand. Then? There is still one more theory, namely the preparation of interviews or presentations. The first 30-60 seconds of a conversation with a prospect is a critical moment, involving the agent's "life die". Many believe, that's when the prospect of making a decision, want to stop or continue to hear the chatter of his opponent. So crucial is the meeting with prospects, forcing agents to speak efficiently, while remaining communicative. But if a potential customer begins to show signs of disinterest, the presentation should not be continued. Waste of energy. In other words, do not force yourself if the prospect looks unprofitable. If you get here practiced properly and properly, it should be successful to reap a number of closing sales. 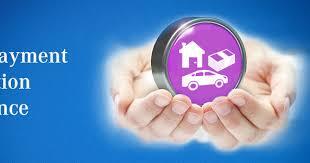 Closing insurance refers to the situation when the prospect decides to buy a product or a policy. Formalitasnya done by filling and completing the application or application form letter of insurance (SPA), as well as paying the premium. Get it right? True, on the one hand, because the customer has been bound by contract for a certain period. However, for the agent, precisely a more enjoyable journey begins. Similar car sellers, insurance companies have after-sales service. Agencies must maintain a personal relationship that has been established. For example, by sending a greeting card on the moments of birthday, Lebaran, Christmas, or New Year. Now maybe via social media Facebook and Twitter or email. You see, the size of the income depends on the smooth-not the contract and the payment of customer premiums. Theories received by insurance agents anywhere resemble each other. The main thing is consistency and discipline. Here are two keys to success to continue to exist in the insurance world.